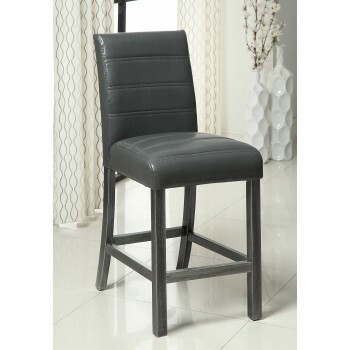 Turn a dull room into a desirable setting with these leatherette counter height chairs. Fun and flirty, these chairs will create an alluring look you've always wanted. Finished in gray for a unique twist.